I often get questions about what students should listen to for optimal learning. There is no simple answer to that question except possible “more”, which is definitely not the desired answer. 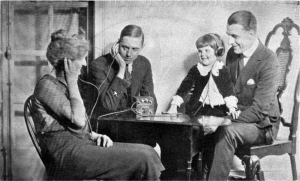 I think you should vary your listening practice as much as possible, not only in terms of content and style, but also when it comes to difficulty level. 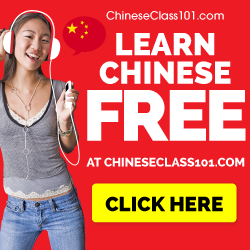 If you’re just after some quick suggestions for good listening materials, check this article: The 10 best free listening resource collections for learning Chinese. In this article, I will talk about what you should listen to in general and comprehensible input and the role of understanding in particular. This is something I have discussed before, but I’ll summarise the main points here with links to more reading. You should listen as much as you can. This is relatively straightforward, at least in principle. You should challenge yourself as much as possible without violating the first principle. In practice, this means that if the material you listen to becomes too demanding for you to continue, rather than stopping, you should listen to something simpler that requires less energy instead. You should understand what you listen to. This third principle is what this article is about. While it’s impossible to fill your days with comprehensible input entirely in Chinese at a beginner level, you should try to avoid English as much as possible. If you have even just a few academic credits in linguistics or second language acquisition (SLA), this term will be already familiar to you, but if you haven’t, it’s worth exploring the concept and how it relates to learning Chinese. The implications are of course important even if you don’t care about SLA theories at all. Before we look closer at comprehensible input, though, I want to point out that it’s related to a certain set of theories or hypotheses presented by a linguist called Stephen Krashen. While I will explain comprehensible input here, the goal of this article is not to give a full picture of Krashen’s theories. I will focus on a small part and see how that relates to learning (and teaching) Chinese. This is also what I feel is the most useful part of Krashen’s ideas, but if you want to get a decent introduction, this article is okay. The core idea of comprehensible input can be seen in the formula i+1. The “i” represents input that the learner can already handle. +1 represents the next step in the language learning process (according to one of Krashen’s other hypotheses, there is a natural order to these). Since it’s hard to know exactly what the next step is, providing comprehensible input that contains language that might be the right next step for you is the best (only) way. In order to take this next step, you obviously need to understand the material as well. According to Krashen, the only way learning can take place is through comprehensible input, i.e. acquiring words and structures you’re ready to learn from input that you can make sense of. Deliberate studying or speaking may facilitate learning in that they create situations where you are exposed to comprehensible input, but they are in themselves not the cause of learning. On lower levels, the main problem is not to present content that contains new things you can learn, it is to find material you can understand so that learning can take place. As I said in the ChinesePod review that lead this article, it’s impossible to do independently for beginner learners. Even with a private tutor, it will be difficult to keep this up for long periods of time. When you get past the beginner level, it becomes much easier, but authentic material still needs to be adjusted. The focus is on being exposed to and processing as much comprehensible input as possible, which will naturally lead to acquisition of words and structures in the target language. Little focus is placed on explicit instruction and speaking comes naturally as the result of learning. Update: In earlier versions, I said that “i” stood for “interlanguage”, which isn’t right. Diane Neubauer actually e-mailed Stephen Krashen about this and it turns out “i” doesn’t stand for anything, it’s just an arbitrarily chosen letter. This might sound crazy to some readers, especially the bit that output doesn’t lead to learning, but in a way, it’s true that you don’t learn new things about the language when you speak yourself. You do learn from the feedback you get from others, what they say and so on, but it’s certainly the case that producing sounds with your mouth doesn’t teach you new words or grammar. Learning has to have taken place before that, speaking is just the result. In my opinion, this overlooks the skill component of language learning. Even if you can understand something very well, you might not be able to say it, and even if you can say it, becoming fluent in Chinese requires an awful lot of speaking. This is not merely because you need the input from the people you speak with, it’s because finding the right words, stringing them together into meaningful sentences using pronunciation that is clear, requires a very large amount of practising exactly those things. No amount of input will give you that. I agree that Input is the foundation of those skills, but it’s not the only thing you need. There is little support for the claim that deliberate studying has no effect on learning beyond the input it exposes you to. In my experience, you can improve the results drastically by studying (looking up words, studying them, adding them to your spaced repetition system, drilling them with a teacher and so on), which is particularly useful for adults learning a second language. Complete immersion is not really an option for most adults, at least not for extended periods of time. In fact, even if you do have the opportunity to go for complete immersion, I’m fully convinced that deliberate studying combined with comprehensible input will be far superior to just comprehensible input. How much should you understand? When? Another thing we need to discuss is under what conditions understanding takes place. I strongly believe that understanding is essential when listening or reading, so just hearing meaningless syllables or reading text you don’t understand will teach your almost nothing. The more you understand of what you hear, the better chance you stand of learning something. However, even if you only understand occasional words, listening will still train you to identify these words in speech and therefore serves as a review and skill improvement method. Still, listening to things where you only understand a few words here and there is certainly not the best way of spending your time. I do believe that you can learn a lot from difficult input too, but it requires much more effort. You might need to listen to something many times to understand what it’s about or you might need to peek at the transcript to fill in the words you didn’t get, but this kind of practice is still very useful, even if you didn’t understand much the first time around. If you go too far in the other direction and make listening too easy (which is rarely a problem), you will learn little from the input since you already know everything. However, as I said above and will discuss again below, listening is also a skill you need to practise. Being able to understand a word is not enough, you need to do it efficiently and quickly. This is related to what I call listening speed, which simply is the speed at which you can understand spoken Chinese. In my experience, most students of Chinese suffer from problems with listening speed. This means that they can actually understand quite a lot, but that they do it too slowly, which means that in practice, they find it very difficult to understand spoken Chinese. 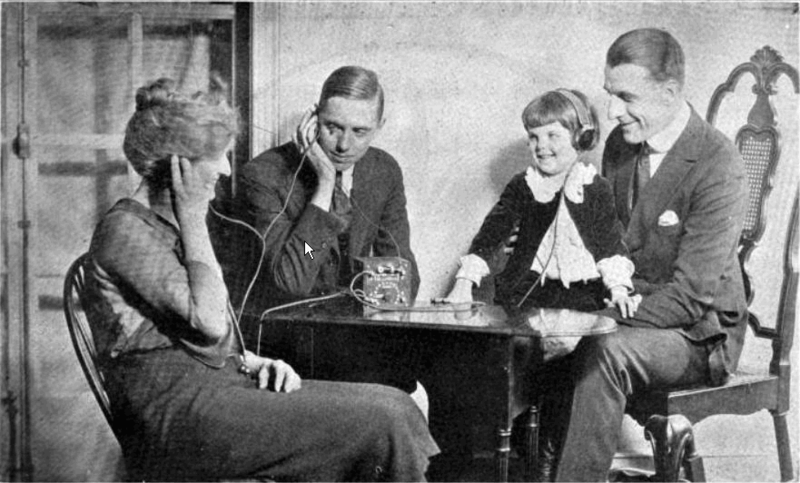 It’s easy to check if you have problems with listening speed yourself. If you can slow the audio down or listen many times, and only then understand what’s being said, then you have this problem. If you find that the reason you didn’t understand is that there are too many unknown words, then that’s what you need to work on. You need to be bale to associate a spoken word with its meaning almost instantaneously. It’s not enough to understand a word after five seconds of trying to find the answer; it has to just be there. This is also one of the main difference between reading and listening: when you read, you can vary the speed yourself, but when listening you can seldom control the rate of speech. The only way to get around this problem is to listen more. If you don’t understand what you’re listening to, practising will have little effect. However, don’t be dismayed if you don’t understand the first time, you might need to listen more than once. I would say that the main goal when you listen an read is to understand what you’re doing, perhaps not immediately, but then at least after trying a few times. If you don’t understand, you won’t learn much. It’s also incredibly hard to stay focused on something which isn’t meaningful and motivation will disappear quickly. If you can make sense of what you’re exposed to and you listen and read a lot, the material will present you with plenty of learning opportunities. You should vary the difficulty of the audio you listen to. The bulk of listening should be made up of material that is slightly above your level, which will make it easier to learn the things you didn’t already know. However, it’s perfectly fine to go for easier content when you’re tired or more difficult material when you have the energy and the time to do the supplementary studying needed. You might not acquire new words and grammar automatically by doing so, but you can still improve your listening ability! I think this is a bit of a misunderstanding of what Krashen means by ‘i+1’. i+1 isn’t a measure of the difficulty of the input; it represents particular structures or grammar features in the language that are the next step in developing the learner’s interlanguage. So with Chinese, for example, the use of 把 might at one point be your i+1, and then slowly it becomes integrated into your interlanguage. “i+1” isn’t something that a source of input is, but something a source of input contains. Of course, if a text for beginners is deliberately not using some grammar structure that the student is assumed not to have learned yet — if it doesn’t use 把, let’s say — then it may not provide i+1. But otherwise, you don’t at all have to carefully tune the difficulty of your input (beyond whether you understand it or not); there are very few sources of input that are so easy they don’t provide i+1. Thanks for pointing this out! You are perfectly right, of course. I have updated the article accordingly and it should now be more clear when I talk about understanding input in general and Krashen’s input hypothesis. I have also updated the section about i+1 to reflect this. 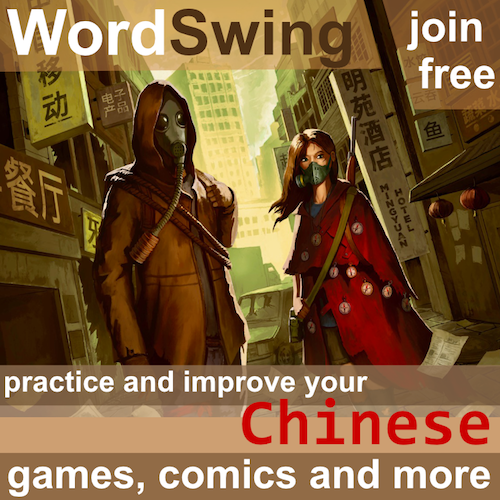 How damaging is it to speak English when you are learning Chinese? Do you lose ten minutes of study? An hour? What if you spend an entire evening speaking English with friends? How about if you’re an English teacher? How can the damage be quantified, exactly? What is the data on this topic? I can’t say I really put much faith in this concept. I know about immersion but this just seems silly, like the person who goes to Starbucks and Subway and wants to speak her stumbling Chinese to the person at the register who is eager to use her own pretty-good English. I don’t know if there’s any rigorous research into this, but I doubt there is. 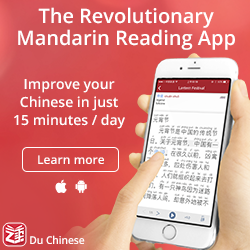 I personally don’t think that using English stops you from learning Chinese at all, although it does of course decrease the time you spend with Chinese and therefore make you learn more slowly. Naturally, if you resort to English as soon as you run into problems, you will slow your progress down yet again, but I really don’t think that using English occasionally is bad. Quite the opposite, actually, I think using your native language now and then is good for clarifying things and also to relieve pressure. As I’ve written elsewhere, I think no-English rules are good, but there’s little reason to adhere to them perfectly. Olle, glad to see that you suggest comprehensible input as an important aspect of Chinese language acquisition, and the value of listening comprehension specifically. As a Chinese language teacher, providing my students with listening and reading that they can understand and respond to is a major part of how I view my role. However, in the term “i+1” does not stand for “interlanguage,” not at least as Dr. Krashen developed and uses the term. Also, I suggest that his distinction between acquisition and learning would help to explain why explicit study (such as memorizing of grammar points and how to use them) is seen as unrelated to acquisition of language. Acquired language is accessed in real time conversations, without time to consult those “rules” before speaking. In Chinese terms, I think of acquisition (as Dr. Krashen uses the term) as the 语言感 so desirable in one’s second language. “Learning” as Dr. Krashen uses the term, is something more related to editing one’s writing, and useful in special situations in which you have time to think and edit before producing language. I realize you are not aiming to explain all of Dr. Krashen’s theory in this post, but the learning/acquisition distinction may help clarify things for readers. 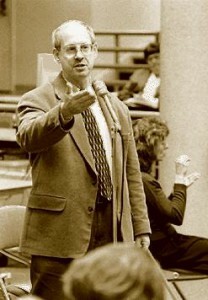 More on that acquisition/learning distinction here, on a blog by Latin teacher Justin Slocum Bailey: http://indwellinglanguage.com/the-bummer-about-acquisition-part-1/ See also the many articles on http://www.sdkrashen.com. Your point about developing skill through output practice is also addressed by Dr. Bill VanPatten, and worth reading: http://revistas.um.es/ijes/article/viewFile/113951/107941 as well as Krashen’s own papers at http://www.sdkrashen.com. Several of his books are available on that website for free download. Thank you for your comments and the links! As you say, the goal wasn’t to explain Krashen’s ideas, but I’m sure many readers would like to know more and knowing where to go is definitely a help. Regarding acquisition/learning, it’s really tricky. because normally when I write (on the website, in my book), I usually make distinction between “studying” and “learning”. The first is closer to what Krashen calls “learning” and the second is what I use when I mean that your Chinese gets better, whatever the reason or source. Mixing this up with another term will create complete chaos, so I chose not to do it and keep my own terminology to explain Krashen’s concept. This is of course not a good move in academia, but I think the article would be a lot more confusing if it had a “definitions” section at the start, at least for most readers. When it comes to the “i” in “i+1”, I haven’t read much of Krashen’s own writing and nothing that focuses on this. He might not have used the term “interlanguage”, but what am I (or readers for that matter) missing if we read it as such? I could of course rephrase it so that it doesn’t look like a quote, which is bad if he didn’t actually use the term. Interesting! Thanks for clearing that up directly from the source; I have updated the article accordingly. Amen on the parts about output and the need for it as a separate skill. We’ve all known kids of immigrants who can understand everything their parents say in their heritage language but even as adults feel they “can’t speak” their heritage language because they simply never did it. Understanding a language (language acquisition) is not everything and does not necessarily result in communication in the language. Output is a skill that needs to be practiced and expected, IMHO. That’s a common perspective, Christine, and no doubt there are many social and psychological factors that do play into people’s willingness to speak a language. However, there are also many counterexamples that demonstrate that speaking or output is unnecessary for language acquisition. I know a person who is physically unable to speak, but who has acquired fluent Latin and Ancient Greek, speaking both of them to other people by spelling. In our work with students learning Chinese and other languages through true Comprehensible Input (not what I call “kinda-sorta comprehensible”, which is what happens when teachers misunderstand what i+1 means and give language that is less than 100% understandable or made understood), we have found that students speak quite easily when they are allowed time to acquire and no output is forced until the language “falls out of their mouths”. The situation with heritage learners is very complex, and often features strong emotions of guilt, fitting in, peer pressure, and sometimes being forced to attend traditionally-taught, non-CI-based classes (“Saturday school”) for years. Even with those who aren’t taken to classes, the psychological construct of being a kid in a second-culture family in the US can be very complex. I don’t think these factors are generally applicable to a person voluntarily learning a non-heritage second language, such as the majority of people learning Chinese. The important thing is to provide rich comprehensible input and simultaneously avoid killing motivation and willingness (for the vast majority of students) by not doing so. I think there are several things worth discussing here. First, I think forcing production early is really bad. This is very, very common in all Chinese classes I’ve taken. Teachers show you a word, tell you what it means and then asks you to create a sentence. I strongly believe that you need passive understanding of something before you can even stand a chance of being able to use it. Production without understanding is useless. It also leads to some bizarre results. I remember a 成語 class I took once where we were asked to create sentences and ended up getting it wrong five times in a row before giving up. Second, the time scale involved is important. If you’re aiming for long-term learning, then delaying speaking certainly isn’t a problem, it will probably even do you good in many areas. However, if you live in a Chinese-speaking environment and want to use your Chinese yesterday, it doesn’t make much sense to deliberately delay output. One of the reasons people study for years in school without being able to use the language in real situations in because they haven’t really practised that. However, if the passive foundation is there, learning to speak is not difficult. Finally, I don’t pretend to understand heritage learning situations. 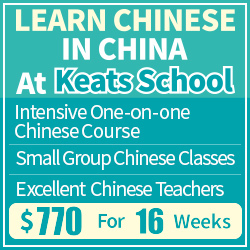 As you say, that’s a very different situation than that facing someone who studies Chinese as a foreign language, perhaps only a few hours a week. The reasons for learning, the socio-cultural situation is of course also entirely different. However, what you say at the end about providing comprehensible input while maintaining motivation is definitely true for both (all) groups! Olle, you really have to read Bill VanPatten’s work. If you’re going to advise people on how to acquire Chinese you need to understand what the experts in the field are saying about how we get language in to our heads. Your comment that “There is little support for the claim that deliberate studying has no effect on learning beyond the input it exposes you to” is totally at odds with what I have read that the SLA experts are saying.